After my last read, I looked for something a little more fast-paced than the slow memoir I had just completed. 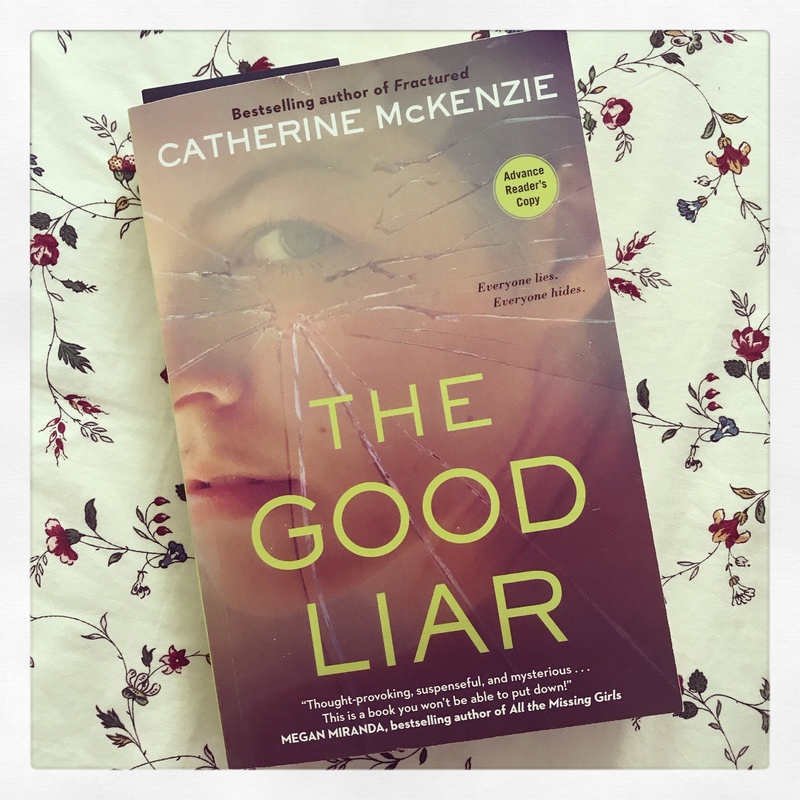 The statement “This is a book you will not be able to put down!” sounded promising so I decided to read The Good Liar by Catherine McKenzie next. I had read good things about the novel on Twitter so I was hopeful. The copy I have of this novel is another ARC that I received at the OLA Super Conference. The voices of three women – Cecily, Franny, and Kate – are heard in this story. Cecily’s husband is killed when a building explodes and Cecily is a witness. In the months that follow the blast, a photo of her watching the horrifying scene brings her unwanted attention as the poster child of the tragic event – and she is trying to hide something. Franny lost her birth mother – Cecily’s best friend – in the blast shortly after the two had met. A year later, she and Cecily team up to help families obtain financial compensation for their losses, but their budding friendship is derailed when it becomes clear that Franny’s story doesn’t add up. A thousand miles away in Montreal, Kate is trying to build a new life. But why did she leave Chicago in the first place? The novel is filled with twists and turns as the lives of these three women intersect in unexpected ways. I loved that the writer kept me interested in the story. She did this by creating unexpected turns in the story that I did not always guess. The story focuses more on Cecily than the other characters and the reader grows to understand the reasons for her behaviour. We are not told much information about her at the beginning of the story – instead we discover it slowly bit by bit as we read on. I enjoyed reading this psychological thriller and would highly recommend it. This is a novel that keeps you guessing right until the end. Have you read any of Catherine McKenzie’s novels? It is. I loved the story – and the unexpected twists. I loved this one, too, and have read all of McKenzie’s books. Thanks for sharing…great review! This is the first of hers that I have read. I will now be on the lookout for her others. I hope you get a chance to read this novel Madhu. It is a great read. Adding it to my TBR list. Thanks. I haven’t yet, but this one sounds great! I’ll definitely check her books out. I enjoyed her writing, as well as the storyline.